What started out as a "freshening up" of the Crystal Allure brand, has turned into a full-on website, logo and brand restyling project! 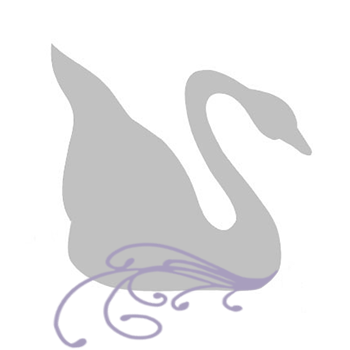 Before the end of March I'll be introducing a new brand for Crystal Allure. Since this past friday, I have been working with a fabulous designer and I'm super excited to introduce her when the project is finalized. As many of you know, the concept of Crystal Allure came about because of my love for Swarovski crystal. My goal with Crystal Allure was to offer luxury handmade jewelry at affordable prices, with a variety of styles to choose from that ranged between beaded to wire-wrapped. I can't even count the number of times I've changed the website look, but over the years, as we all do, we learn something new everyday. While I sat looking at the website this past week, I had a "gee...." moment and decided Crystal Allure is ready to take the next step to further the success of the brand and company. I hope you will be as excited as I am and rest assured, the brand may look different but you will continue to receive beautiful, quality handmade jewelry and personalized customer service. 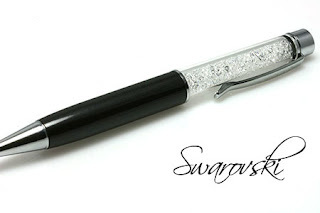 Reflecting my love for Swarovski, I happened to stop in the local Swarovski retail store this past weekend and picked up the pen pictured above. I was told it has over 500 crystals in the top of the pen! Now that makes for a stylish writing instrument! Hmmmm....I wonder if it could write in sparkling ink?! That is awesome Stephanie! Can't wait to see it. It is always exciting to embark on something new or refreshing. Hello Stephanie...hope all is well with you...I've been away for almost 3 weeks and I'm just getting back into my routine of visiting my friends!!! I look forward to seeing what do with your business/website, I know it will be wonderful! Were you on vacation Heather? It's great that you're redesigning everything. Sounds like it's a good change in the right direction. Good luck with it! Hey Stephanie...I'm doing a blog roll and stopped by to get your URL...you didn't have this fabulous design up the other day...so happy I stopped by!!! This is really wonderful...so professional and elegant looking!!! I'm just catching up. Whoa! Very stylish design. Can't wait to see what else you have up your sleeve! Thanks Heather and Pearl! So glad you like the new look. And thanks for adding me to your blog roll Heather!